We have a fond story we like to recall about Super Mario 3D World in Nintendo Life HQ. It was E3 2013, Nintendo opted for a Nintendo Direct broadcast rather than a press briefing - this was before the first excellent 'Digital Event', remember - and there was a feeling of nervousness. Nintendo had basically already announced a few big games that would be shown, including a new '3D Mario'. Trouble was Nintendo was using the awful uStream during E3 - or Twitch was terrible at the time, one or the other - and we were watching in 240p despite having a connection speed to make most people weep in admiration. Super Mario 3D World then popped up. "Huh, it basically looks like Super Mario 3D Land 2 with multiplayer". Of course, we then learn it's a Wii U game, but it's hard to gauge its merits until an hour later when we see a YouTube upload of the trailer. It didn't blow many pants off, though, if we're being blunt - Nintendo had chosen some of the 'safest' levels for the trailer too, to avoid intimidating the mainstream audience that never really follows E3 fully. The reaction among many vocal dedicated fans online was modest - thousands of shoulders shrugged. Then we played it at a preview, and we realised it was the real deal. It became clear that the multiplayer mechanic delivered chaotic but fun gameplay, and that when running in 60 frames in HD the game looked and felt terrific. It delivered the same 2D / 3D hybrid approach that pushed buttons for those seeking freedom of movement, while having enough structure and guidance to accommodate those with a preference for 2D design. The 'crown' in multiplayer was ripe for causing priorities to shift and friends to full out, and beyond multiplayer shenanigans it seemed like a game that could enthral in single player. The final product was when the pieces slid together, and it became clear that this was the most creative Mario title since Super Mario Galaxy. Worlds and levels didn't really follow a coherent theme all the time, but rather experiment and mess around. A cool concept can appear early on and barely feature again, yet the game was full of clever ideas and twists that it barely mattered. It also featured an outstanding Big Band soundtrack to complement the action. With the Cat Mario power-up, the duplicating Cherry and more it was certainly a 'busy' game, and as this excerpt from an Iwata Asks interview highlights that was due to a "put everything in" policy. Hayashida: I've always worked on course design, so I think about games from the perspective of how you organize and construct the courses. But no matter how you looked at it, we had more stuff than would usually ever fit in. Iwata: You appeared to have too much? How did that happen? Koizumi: Yeah. The schedule didn't change. But up until the end, neither did his desire to put it all in! Hayashida: As a result, it feels condensed and packed solid. Though debates will rage around 3D World in terms of its place in the great pantheon of Super Mario games, its performance in our recent poll - with a respectable number of votes in 6th place - show that it's considered as a strong entry by plenty of Wii U owners. It's the fourth best-selling Wii U game to date, and with 4.3 million sales is just half a million units behind system launch title New Super Mario Bros. U. While the Wii U's '3D Mario' perhaps hasn't stolen as many hearts as the Galaxy games on Wii, it's nevertheless a wonderful slice of Mario gaming. Loved this game. Not sure if it or 3D Land is better since they both excel at what they do. I am positive I will be delving back into this one again though I don't think I will have the courage to beat the final level five times even though I 100%ed the game other than that! Hands down my favorite Mario game! I even played the Galaxy games recently and while they are still stellar titles, I prefer to play 3D World. Would love to see another co-op 3D Mario down the road! I actually have to give this game it's props for the multiplayer. It turned what probably would've been just an OK game into a really fun game. Which may explain why I barely touched it until a friend visited... then I never played it again (or maybe once) until another visit over a year later, in which we finally got through the final world and beat it. This game is a masterpiece. Best Mario game ever. The only thing it's missing is online multiplayer. If they added that it would be a game changer. The way Super Mario 3D Land and Super Mario 3D World limit movement of the players makes the game more 2D than 3D, actually. Besides, when these games mix 2D actions with 3D environments and fixed cameras, the results are inaccurate. As much as I love Mario games, Super Mario 3D Land and Super Mario 3D World are a disastrous combination of the 2D and 3D Mario games just for the sake of appealing new players that usually stay away from the 3D concept. Best 3D Mario games are Super Mario 64 and Super Mario Sunshine, because both of them grant the player freedom of movement and it's easier to assess volume and risks. Super Mario Galaxy is the same formula with tiny worlds that just guide the player from one to another small area, so it's not actually better than Nintendo 64 and GameCube classics. Definitely one of my favorite Mario games. Though getting through Champion's Road FIVE TIMES was a bit of a massive pain, admittedly. Going to be controversial here but this is my least favourite Mario title and I'm not even sure why as it's technically an excellent game, just didn't click with me. You don't need to clear a level five separate times. If you have a spare Wii remote, all you need to do is to drag another character and carry him to the flagpole at the end. I only did Champion's Road three times, using Mario, Peach and Rosalina. I merely threw Toad and Luigi at the pole. That's funny. Even as a 1-player game, I rather play 3D world over any other 3D Mario. But that's just my opinion. @NintyMan Yeah, I managed the last level in Super Mario Galaxy 2, but the last one in Super Mario 3D World? Nope. the most challenging final level EVR. the balance, design and music put this one at the TOP. This or SM64 is my favorite Mario game, It's just so good, soundtrack, levels, and the uniqueness of the game is what made me love it. I also like how they changed up the story in this game. Never did beat the final level. @Hero-of-WiiU @ThomasBW84 @NintyMan I too have yet to finish that last level for 100% . Not with a single character!! I played it for two days straight and nothing. I've 100%ed every Mario game I've ever played until this and its really got me beat!! Another example of a game that's in my backlog that I need to play, lol. I really enjoyed 3D Land, so I'm sure I'll enjoy this as well. From the little I've played of it, I think this game is decent. I'm kinda mixed on this game. It's definitely better than NSMBU and 2, but not as good as Sunshine or both Galaxy games IMO. I think they should have had a couple more bonus playable characters, like maybe Wario, Waluigi, Yoshi, Daisy, and other characters like that. @ULTRA-64 My problem is that I keep trying to clear the level as normal Mario, no Tanooki, no cat, no nothing. It's a challenge that I hope one day I will complete. Nope, I just didn't like this Mario at all. Felt rushed, looked plastic or rubber'ish, was bored from the start and I loved 3d land to death. I don't see it. And I know I'm not alone in this, speak up guys! A decent 2.5D/3D Mario game. But because levels are so lena, it makes replying the game not worth it. It's nice to see a 3D World in HD, but after the ambitions of Sunshine & Galaxy, 3D World was a bit of a let-down. 3D Mario games are (for the most part) about taking your time and solving some platform puzzles. 3D World always had a clock and it was always ticking. 64, Sunshine, & the Galaxies didn't have clocks (except for remixed worlds for difficultly increases) and their was more choice of where and how to solve some platforms. For me, Sonic Lost World is the better 3D Platforming game for Wii U over 3D World, because their is more choice and more variety. I've replayed more Lost World than 3D World. And at least Lost World takes its inspiration from 2 of the best 3D platforms of all-time (the Mario Galaxy games). 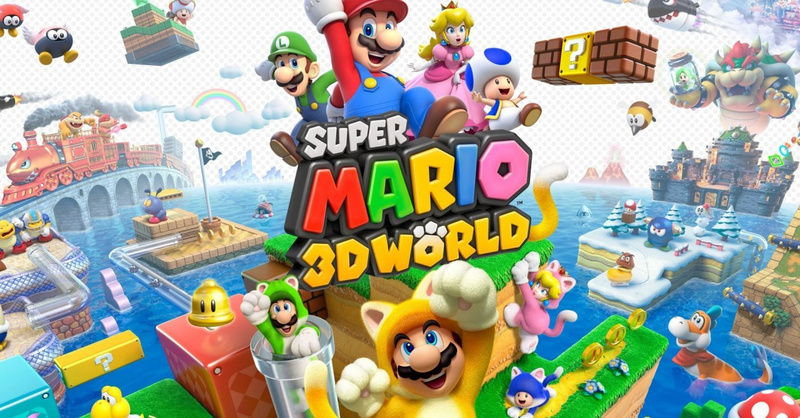 And it has some great music; 3D World has some great music too, but its biggest let down is CAT MARIO; along with the Squirrel Suit from NSMBU, they are two of the worst power-ups mario has ever had is a 3D game.... even the Spring power-up from the Galaxy games is a better power-up. I feel this game is like playing a modern SMB2 and SMB3 hybrid. I always liked choosing between the different characters in SMB2 back in the good ol' NES days. @ULTRA-64 i literally died over 1000 times before completing champions rd. My first Wii U game, I really like it but it's not my favorite though. This is the BEST MULTIPLAYER/COOP Mario game! Great game....only thing I didn't like was the timer. I feel a 3D game should NOT have a timer. Otherwise, loved it! My first Wii U game and the game that made me retakes the saga of Super Mario since Mario 64 (well, include Mario remakes in GBC and GBA) and Super Princess Peach. Recalling the cast of Mario 2 (+1 cute character, XD); gameplay similar to the classic 2D Marios; excellent soundtrack (world 3 theme is very beautiful and calm) and more; It is for me one of the best games that have come and I hope there is a good sequel. Most overrated Mario game ever, it doesn't even deserve to be compared to the likes of Galaxy. Galaxy actually had grounbreaking ideas that revolutionized the series, 3D World just has gimmicks that perpetuate the same tired conventions we've seen in this series. And like I said for 3D Land, this formula is a terrible hybrid style because the way collection elements are used in this game reflects a fundamental misunderstanding in the purpose of collecting items in a collectathon and the way it's implemented in this game, the benefits of goal based progression and collection based progression cancel each other out. Plus the general gameplay and level design is designed much more with the linear platforming fans in mind than with the collectathon fans (about 90/10 in favor of linear platforming), there's barely anything in this game that would appeal to a collectathon fan. Overrated?, oh well, I don't see many comments, reviews that show some "very, very" positive about it, almost, a "good" game is the most comment, and only few (well, not too few, XD) say "great or excellent", then, where is "overrated"? @SakuraHaruka Oh please, the game gets near universal praise. The game has a 93 on Metacritic and has several perfect scores, and many of the people online go on and on about how "creative" it is. The game is near perfection. It may not have been a bold leap, instead with HD it basked in almost everything that the games had achieved up until that point. Amazing replay value as well. I really love the concept of the 3D games. They're so much better than the standard "new" games, and I prefer the mostly linear design over the excessive exploration of the other 3D Marios. Designing the levels around a fixed camera is also a nice touch, which is much better than the completely manual cameras of the Galaxy games. Multiplayer is a real blast. The fact that the characters play differently a la SMB2 is icing on the cake, and the Cat Suit is quickly becoming one of my all-time favorite Mario power-ups. The story and boss battles also provide a excellent change of pace from usual Mario fare. I just wish it (and 3D Land) had the Koopalings in it. I think my opinion of this game would radically alter if Nintendo did release a Mario title more in the tradition of 64, Sunshine and the Galaxy on the WiiU. It's a well-crafted title and offers an excellent multiplayer experience. But I don't think I'm alone in feeling a tad bitter with the game nevertheless if it winds up being the only 3D Mario title on the console. No matter how well its made it just doesn't quite cut the mustard for me. I don't get people's beef with the stars and the flags. I've only had SM3DW a couple of months and not played it single-player, but it's the one game that had brought me, my gf and our 3 yr old daughter together for play sessions. A full-on open environment would have been too woolly, and 2D platforming is a bit too demanding for my daughter, but these levels are open enough for her to develop her ability to control the character but tight enough to give her some clear parameters and targets. And obvs she loves the cat suit more than life itself. So regardless of anything else, this is THE best platformer for young families. Can't wait til my 11 month old boy is ready to join in. I remember being quite alone in my excitement for Super Mario 3D World when it was first revealed at E3. Of course there were others, but much like what has been said in the article, a large amount of people started to anticipate this game after trying out the game or with it's second revealing. For me, my interest was grasped with the reveal of it's style, and my excitement grew greatly upon seeing you could play as Luigi, Peach, and Toad in Super Mario Bros 2 fashion. Then they showed off that it was multiplayer and I was yelling with excitement. I was eager to play this game, my mind filled with high hopes, and my anticipation at it's peak levels. As for my thoughts on Super Mario 3D World after playing it? Super Mario 3D World is the Mario game I've always dreamed of. Well, it's the Mario game I've dreamed of since learning that Mario was going to have a 3D entry. I loved playing Super Mario All-Stars (Super Mario Bros: The Lost Levels and Super Mario World in particular), and had great fun with both the Super Mario Land games, but was rather disappointed by Super Mario 64. Super Mario 64 didn't feel like a Mario game to me, the world was too open, it lacked speed and fluidity, and going back through each world multiple times rather than individual levels just never felt like fun to me. I know it's got plenty of solid elements to it, but Super Mario 64 was disappointing and boring to me, and is one of my least liked video games of all. I would go on to try out Super Mario Sunshine, and whilst I did enjoy it more than Super Mario 64, I came to terms at that point that I just did not enjoy 3D Mario games. Super Mario 3D World was different though. It translated the fast paced and plentiful of unique levels of 2D Mario games into a 3D environment, utilising the 3D environment to better improve the multiplayer aspect found within the New Super Mario Bros games, and utilising the unique character elements of Super Mario Bros 2. I can understand why fans of the 3D Mario entries may not enjoy this game, but to me, Super Mario 3D World was the Mario game I had hoped for when the N64 was about. Super Mario 3D World stands as my favourite Mario platformer to date, my 3rd favourite Wii U game so far, and whether it's the chaos of battling for a crown in multiplayer, or taking on the challenges of each of the unqiue and wonderfully crafted levels solo; it's always a ton of fun to play. Although I thought it looked awful at E3, in hindsight this is my favourite Mario game. It cherry picked the best elements from the 2-D and 3-D games and gave us something I feel surpasses all the previous games, perhaps not massively but it was better then my previous favourites. 3D World is definitely my favourite Mario game, and this is coming from someone who prefers 3D Mario titles to the 2D ones (both 2D and 3D Mario's are superb though). I played through the game mostly without co-op (with co-op, is where it especially shines), and I loved everything about it—level design, visuals/art style, performance (60fps was much needed). Though I got it at launch in 2013 and beat it shortly afterwards, I'm still struggling with 100%ing that last level (especially, with all 5 characters), easily one of the hardest Mario levels I've ever played. It's really funny though, that at E3, I was incredibly disappointed (even though I did like 3D Land on 3DS, I expected something grander for Wii U), thinking this would be the worst 3D Mario, but I believe, around the time Nintendo released the October trailer for the game, that I realised just how wrong it was, and it's not only one of the, but rather, the best Mario I've ever played. I have no idea how they're going to top 3D World with the next 3D Mario (though I feel like I always say "I don't know how they're going to top insert current Mario title with the next one, and then they always do_. When this game was unveiled at E3 2013, I was very unimpressed and disappointed. It seemed like a lazy port of 3D Land with HD graphics. But then I played it and I really enjoyed it. Very happily surprised. 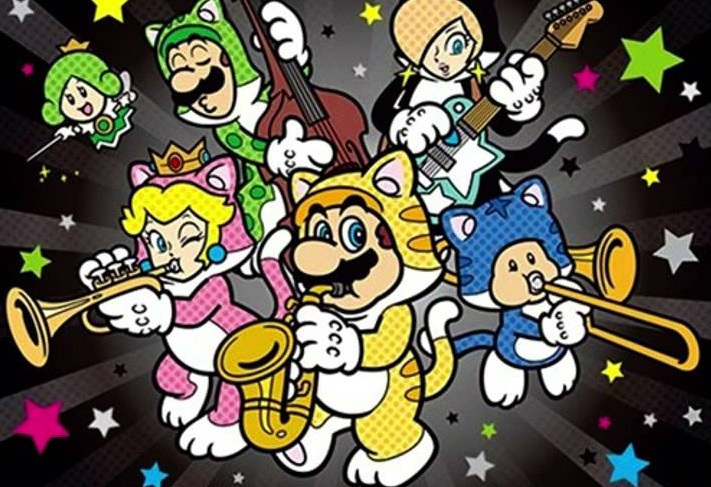 I love the music in the game from start to finish, and the Cat suit and Plessie were amazing additions to the Mario Universe. It's not the best Mario game in the storied franchise, but I don't think it's anywhere near the worst, either. I still love playing it today. Those bonus levels are brutal. Such an amazing party game too. This doesn't get nearly as much credit as it should. @RedDevilAde They do say great minds think alike...but I'm pretty sure the October trailer (if you saw it) was a turning point in the minds of many people in regards to 3D World. And you look at a game like 3D World, where Nintendo proved us wrong, I'm hoping that's the case for the titles they announced at E3 this year (like Star Fox, and Federation Force). Overall, I think 3D World is to the Wii U as Wind Waker was to the Gamecube: both fantastic games, which were criticised pre-release for appearing to be disappointments to their respective franchises, and then they came out, and proved to us that Nintendo knows what they're doing (for the most part). Its definitely not Galaxy 2 quality but nothing is. It is excellent for multiplayer. Like most people here I completed all but the last levels. I always try to 100% Mario platformers but this one I had to admit defeat, which affects my milk OCD which I try to ignore. 3D World is an outstanding game in all aspects. The only thing that stands against it is the lack of innovation. I never played the multiplayer though. @Bolt_Strike - Whatever happened to personal opinion and differing tastes? The real problem i have with 3D world is that i played it only in single player, missing its most remarkable aspect. I would guess that its main point is that it has a limited scope: no earth shattering environments and epic cutscenes and fights, but rather something more simple and immediate and very clean in the graphics. There are some nice details, but the levels almost feel abstract in certain parts, sometimes even simpler than New Super Mario Bros. U in the presentation. Also, gameplay-wise, not many earthshattering innovations, but some nice little ideas and a very good experience without obvious flaws except in the last levels, namely the Great Tower and Champion's Road, where the limits of the "diagonal" point of view and some debatable choices in the controls emerge (having the same button combination for the long jump and the stomp worked in SM64 but that game was quite different from a level design point of view...). 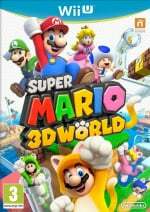 On overall, it's nice to see Nintendo exploring new approaches, but as I said before, in my opinion Super Mario 3D World by design doesn't aim to offer the experience of Super Mario 64 and Super Mario Galaxy.